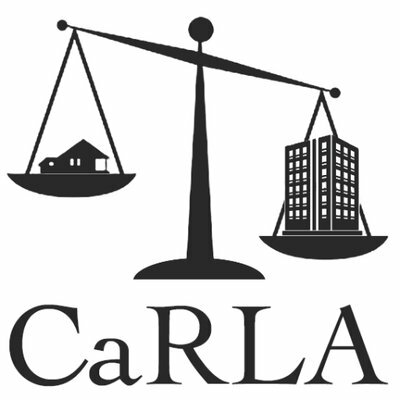 Today CaRLA has filed a lawsuit against the City of San Francisco to correct portions of its ADU ordinance that fail to comply with state requirements. Last summer, San Francisco updated its ADU ordinance in several ways that made it easier to develop ADUs in the city. We support these changes, and recognize that San Francisco has been a leader in ADU policy in multi-family buildings. Unfortunately,last summer’s ordinance failed to correct two long-standing regulations that violate state ADU requirements. First, the ordinance subjects ADUs to the city’s discretionary review process which allows virtually anyone to indefinitely delay an ADU application through countless Planning Commission hearings, even though the proposal may be 100% compliant with local zoning. This process is very costly for permit applicants and can take months to navigate. The mere possibility of such burdens is more than enough to discourage most homeowners looking to add an ADU. Second, the San Francisco ordinance only allows ADUs to be added to existing homes; new single-family homes are prohibited from including one. The city’s single-family neighborhoods are primarily composed of small lots where it is much easier to include an accessory unit when it is incorporated into the design of the primary home from the start. By prohibiting ADUs from applications for new homes, San Francisco is needlessly limiting units being developed in high cost, high opportunity single-family zones, where the need for this form of affordable-by-design housing is highest. We reached out to the city to encourage them to take action to correct these errors, and we are encouraged that the Board of Supervisors has introduced legislation intended to bring the ordinance into compliance. However, in search of a firmer commitment from the city, we are initiating this lawsuit now in order to ensure that these changes are enacted–whether through the legislative process or by judicial mandate. You can read our petition and track the case here. These changes matter for ADU development in the city and beyond. San Francisco sets a policy example throughout the State of California, and as such we must demand that it meets the highest of standards.. State law requires a local ADU approval process that can be navigated by homeowners on tight budgets, and San Francisco is failing to provide such a process. State law also requires local governments to allow single-family homes to be designed with an ADU, and San Francisco is failing in this regard as well. With these fatal flaws, the city is guaranteeing that the only ADUs approved will be constructed by those with the most money and able to charge the highest rents, a situation which is diametrically opposed to the very idea of affordability. We are incrementally moving toward a future where every single-family property will be able to have an accessory rental unit; these changes are a small step forward toward that future. If your city is violating these or other state law requirements for ADU regulations, let us know immediately so we can take action. This lawsuit and others like it are only made possible through the support of our Avocado Watch Network members; they are our eyes and ears on the ground, reporting violations of state law like this. Join today and help us restore a legal environment in which California builds housing equal to its needs.